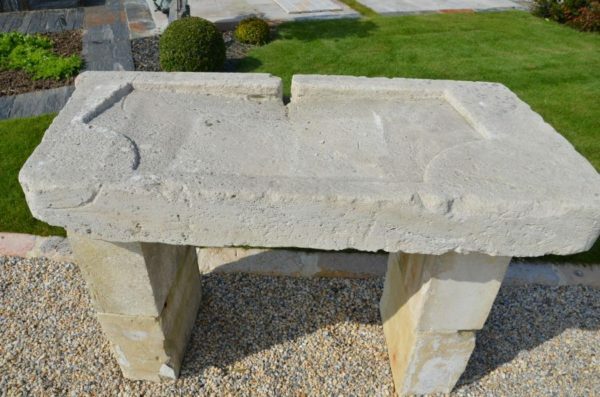 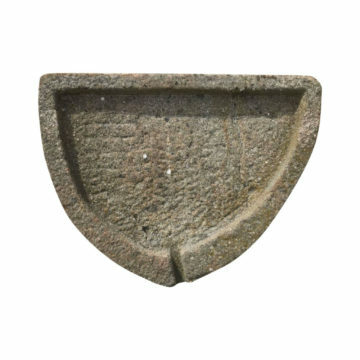 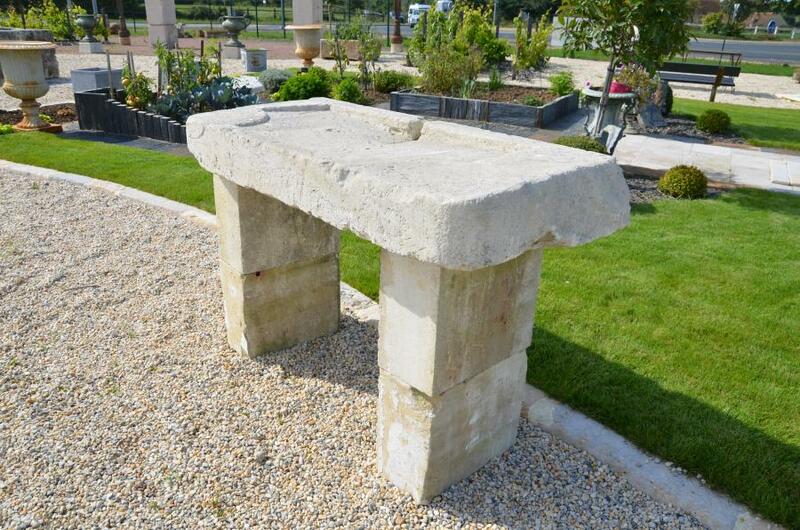 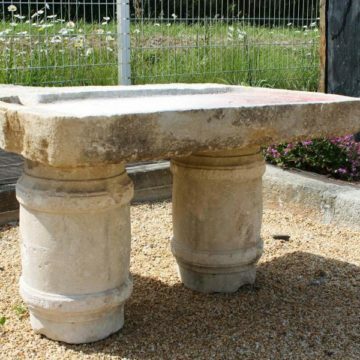 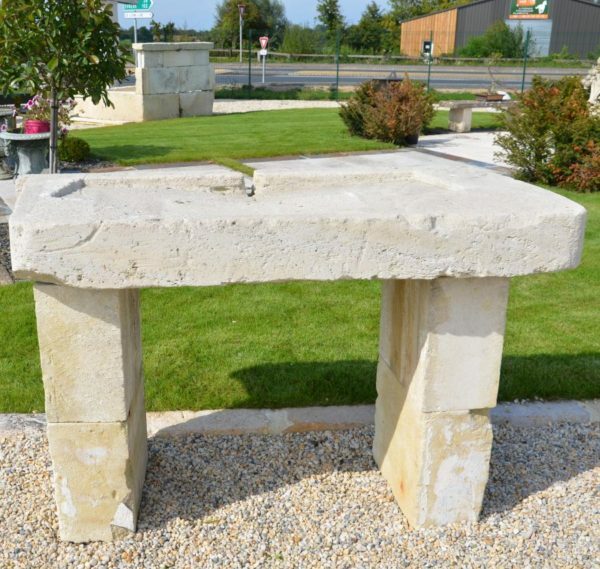 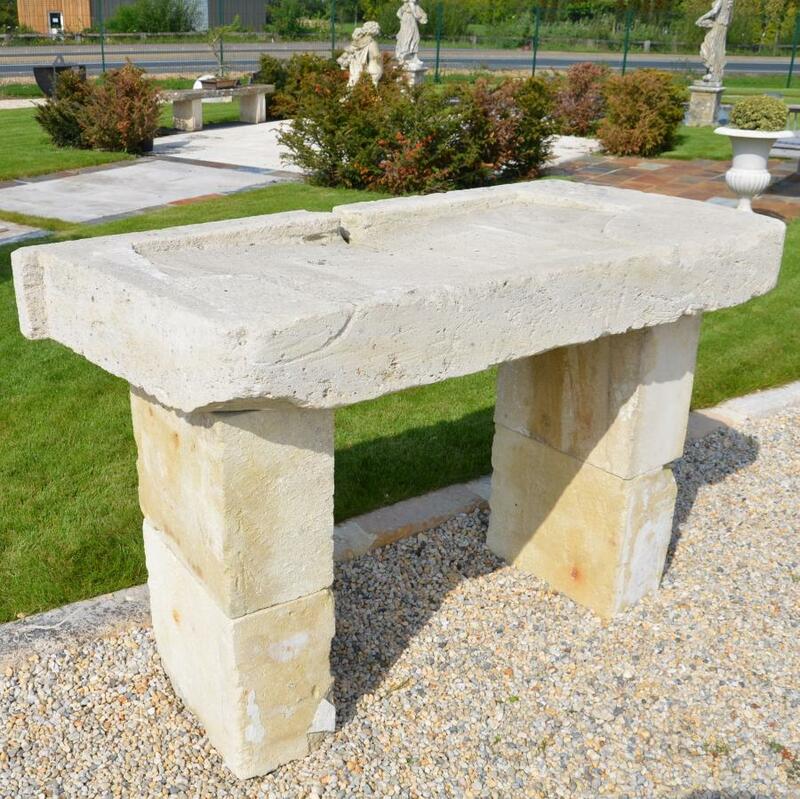 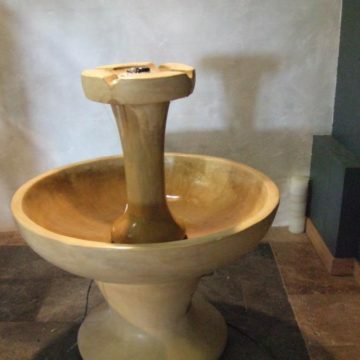 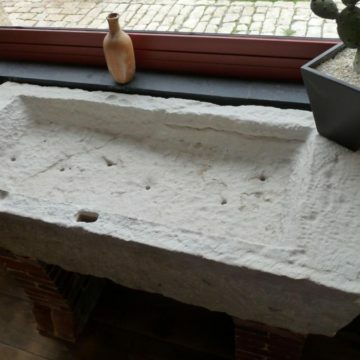 French antique limestone sink on stone supports. Dimensions approx : Height 97cm (38″) x length 150cm (5″) x 72cm front-to-back x 16cm thick (6.3″). On display at BCA’s Normandy premises at Mery Corbon, preferably by appointment.